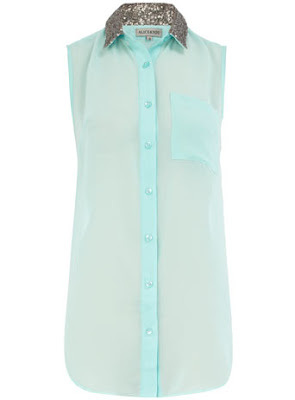 this seasons trend of pastels but the glitter adds a bit of spice to make it not just any old shirt. It is a great length that can be tucked in or worn longer & belted with leggings underneath. This would be a beautiful summer wardrobe addition & its only a mere $22! I love STEALS! i want that blouse! such a good deal! Beautiful shirt, the color is so pretty! wow that was a steal. Cool shirt. Love the collar. Eeep! Only $22? Get in my closet!